Our 2019 Valentine’s Day collection is inspired in part by the popularity of our previous swans and is called The Sweet Swan Bouquet series. 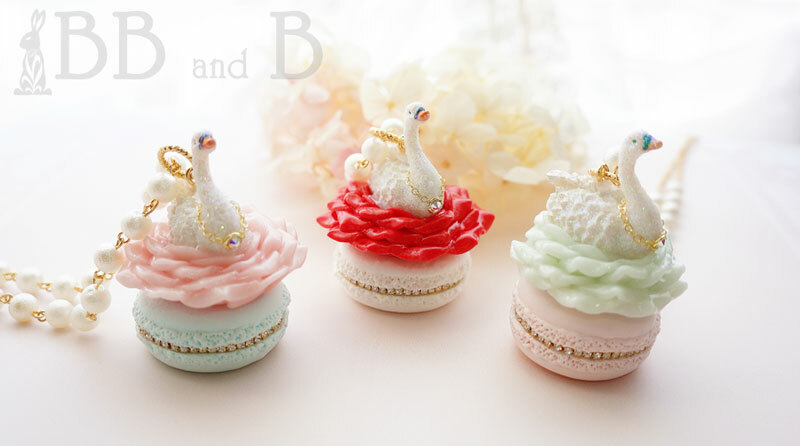 The swan sits inside a blooming rose, which sits atop a deliciously soft and pastel macaron. There are 3 colorways with 2 different sizes. The petite style dimensions: 4.5 cm x 3.5 cm. Necklace length is 47 cm. The standard style dimensions: 7 cm x 5 cm. 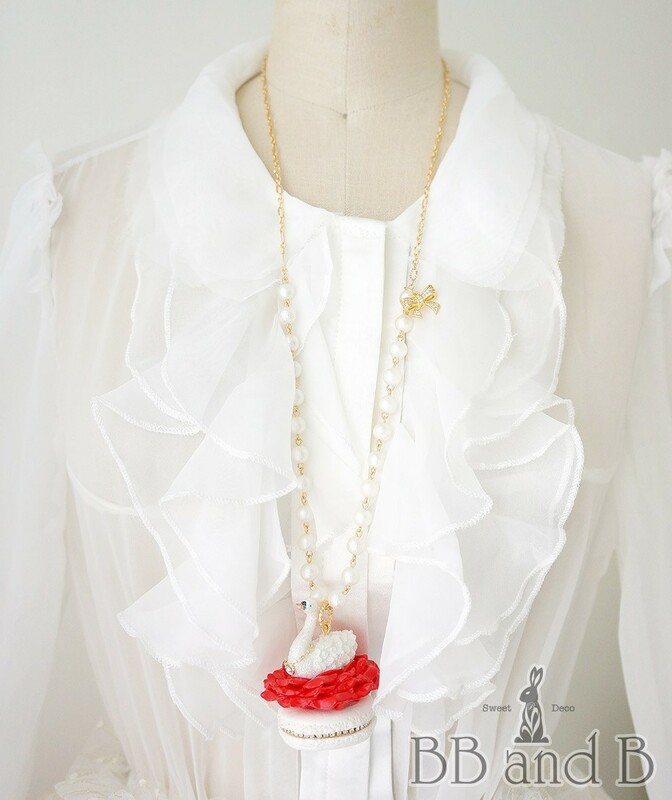 Necklace length is 75 cm. Pre-orders must be received by Wednesday evening to make it for our first ship date of February 4, 2019. Pre-orders after February 5, 2019 may not arrive in time for Valentine’s Day (February 14). This page will be updated with shipping dates as needed. Standard Shipping: Please order by February 9, 12 PM PST. Priority Shipping: Please order by February 11, 12 PM PST. PLEASE NOTE: Due to the storms across the country, shipping times to the some parts of the midwest and east coast are being delayed by as much as 3 days even via Priority. If you have any questions, please contact us BEFORE you order so that we can check for any shipping delays! Click HERE or any of the photos to go to The Sweet Swan Bouquet series.